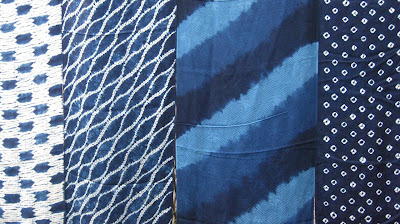 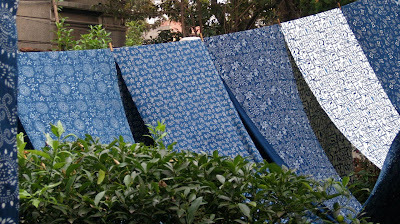 Blue Nankeen cloth is heavy cotton, stencilled with a paste made from soy flour and lime, then dip dyed with natural indigo dye. 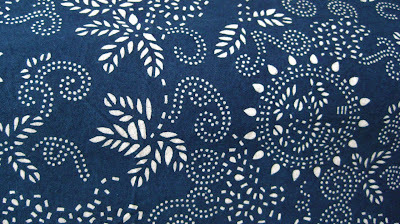 The stencilled pattern is then scraped off, leaving a white design. There is a little workshop off Changle Lu, down a laneway, behind a house - then you come around the corner to the garden, and the sight of all those beautiful crisp blue designs drying in the sun, like a load of indigo washing.